Green & Black's create delicious ethically sourced chocolate from the finest ingredients. Our Taste Specialists have expertly crafted this 70 % dark chocolate using the delicate character and soft texture of the finest Ghanaian cocoa, balanced with sweet Madagascan Vanilla. 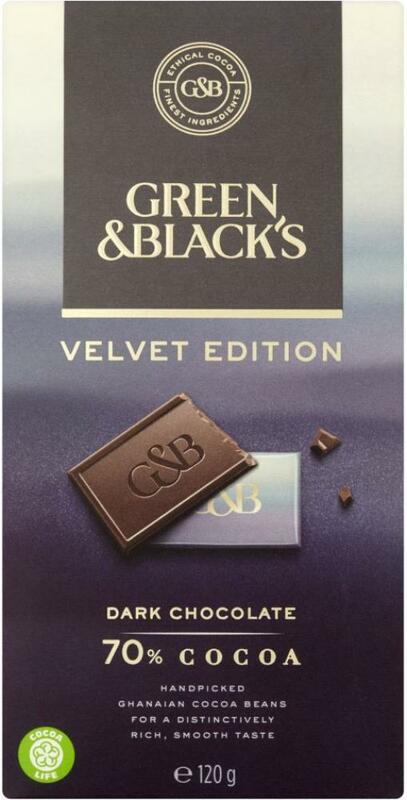 Green & Black's Velvet Edition is a 70 % dark chocolate that is rich in cocoa content, yet exceptionally smooth in flavour.